A common wildlife creature in the Gold Coast and parts of the Weald and Highlands. 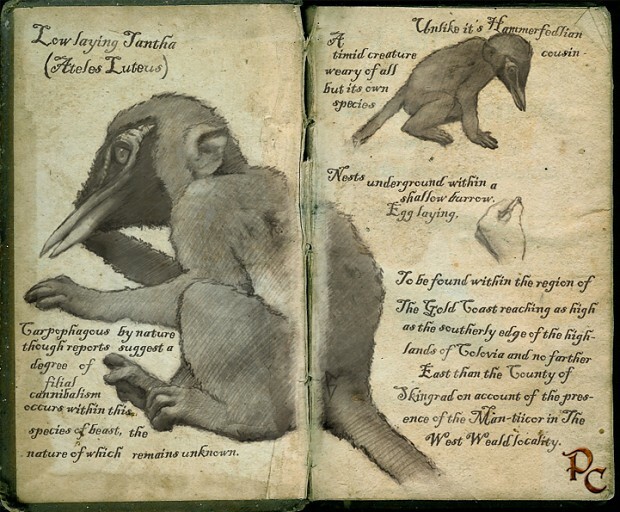 Tanthas are monkey-like critters with bird beaks, naturally timid and non-hostile (when left alone). Their beaks are a prized alchemical ingredient. Animation can perhaps be based on the Scamp? Otherwise, contact Melchior Dhark, I think he had some monkey-like creatures planned for Lythondea. I'm attempting to make this, however I'm not experienced at all so I can't make any promises. I will try though.